WASHINGTON, D.C. – In benefit to the Vietnam Veterans Memorial Fund and Operation Homefront, Princess Cruises’first-ever charity cruise to support U.S. veterans will feature a number of special guests including former chairman of the Joint Chiefs of Staff, Admiral Michael Mullen (Ret. ); retired senior officers from the Army, Navy and Air Force; an award-winning war correspondent; and other respected speakers, authors and panelists. The voyage is expected to generate $1 million, split equally between the two charities. Princess President and CEO Alan Buckelew, a Vietnam veteran himself, will be on board to host the cruise. He will be joined by special guests Admiral Mullen, former Army Chief of Staff General George Casey (Ret. ), former Air Force Chief of Staff General Norton Schwartz (Ret. ), and former Chief of Naval Operations Admiral Gary Roughead (Ret. ), who will each host military branch gatherings throughout the voyage. The senior officers’ wives, Deborah Mullen, Sheila Casey, Suzie Schwartz and Ellen Roughead will take part in a panel discussion centered on the lives of military families and the changing roles and challenges of spouses before, during and after deployment. Speaker and veterans’ advocate Justin Constantine. Constantine joined the U.S. Marine Corps in 1998 after graduating from law school. He left active duty in 2004, but two years later, as a Marine Reservist, volunteered for deployment to Iraq. While on a routine patrol, he was seriously wounded – shot in the head by a sniper. Thanks to the heroic efforts of a young Navy Corpsman and his own warrior spirit, Constantine is alive today and as a highly sought-after speaker and veteran’s advocate, spreading a message of awareness, courage and resiliency. The soldier who sent the message ending World War II in Europe, Gregory Melikian. As a young sergeant with the Supreme Headquarters Allied Expeditionary Forces staff headquartered in France in 1945, Melikian was a telegraph operator under command of General Dwight D. Eisenhower. At 3:30 p.m. on May 7, 1945, it was Melikian who was chosen to announce the unconditional surrender of Germany and the end of WWII in Europe. Princess Cruises has been designated a commemorative partner with the United States of America Vietnam War Commemoration, a national program conducted under the leadership of the Department of Defense to commemorate the 50th anniversary of the Vietnam War. The national program will include activities to thank and honor veterans of the Vietnam War, including those held as prisoners of war or listed as missing in action, for their service and sacrifice on behalf of the U.S. and to thank and honor the families of these veterans. Princess Cruises will conduct activities to recognize Vietnam Veterans and their families for their service, valor and sacrifice throughout the sailing. To learn more about the national commemorative program, visithttp://www.vietnamwar50th.com. "This will be a wonderful time for military veterans and their families to enjoy some education, rest and relaxation,” said Vietnam Veterans Memorial FundFounder and President Jan C. Scruggs. The Western Caribbean cruise will sail November 5-9, 2013 roundtrip from Houston aboardCaribbean Princess, with a call at Progreso, Mexico. The four-day cruisewill offer passengers the opportunity to honor those who have served in the military as well as active duty military personnel. In addition to the line-up of incredible military guests and speakers, there will be special performers, celebrities, unique topic panels and a military film festival. Princess will custom-design onboard activities such as a Stars and Stripes Sailaway, a military themed show, a Red, White and Blue Gala, game shows, trivia quizzes and more – to celebrate US veterans. Cruise fares range from $549 to $1,649 per person based on double occupancy. A portion of each passenger’s cruise fare totaling approximately $500,000 will be matched by Princess Cruises for a total of $1 million earmarked for the two veterans’ organizations to share equally. 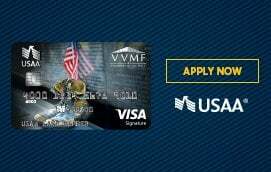 As part of Princess’ ongoing Military Cruise Benefit Program, active and retired military personnel choosing to book this cruise will receive a $50 onboard credit. Additional information about the special “Cruising for a Cause” sailing supporting U.S. veterans can be found at princess.com/cruisingforacauseor by calling 1-800-PRINCESS. In 1982 the American people helped The Vietnam Veterans Memorial Fund complete an impossible mission to heal a nation and bring comfort and solace to a generation of veterans. Today, the Vietnam Veterans Memorial Fund is working to complete this mission by building the Education Center at The Wall, the place on the National Mall where our heroes' stories will never be forgotten. Since the dedication of The Wall, VVMF has pursued a mission of preserving the legacy of The Wall, promoting healing and educating about the impact of the Vietnam War. Learn more atwww.buildthecenter.org, or call 866-990-WALL. Operation Homefront (OH) provides emergency financial and other assistance to the families of military service members and Wounded Warriors. A national nonprofit with nationwide presence, Operation Homefront leads more than 4,500 volunteers and has met more than 590,000 needs since its inception in 2002. A four-star rated charity by watchdog Charity Navigator, nationally, 94 percent of total revenue donated to Operation Homefront goes directly to assist service members. For more information, go to www.OperationHomefront.net.